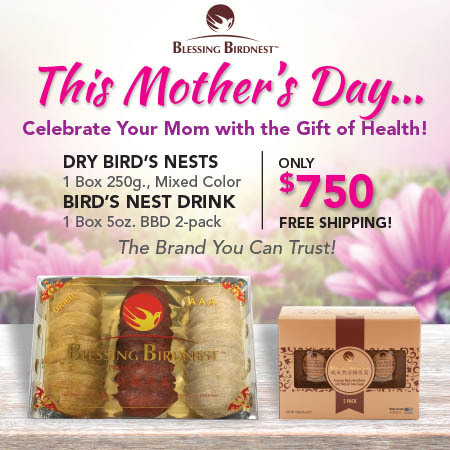 We have a very special Mother’s Day bundle that includes (1) box 250g Mixed Color and (1) box 5oz. 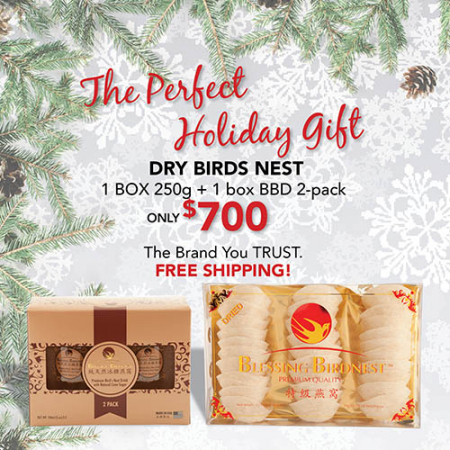 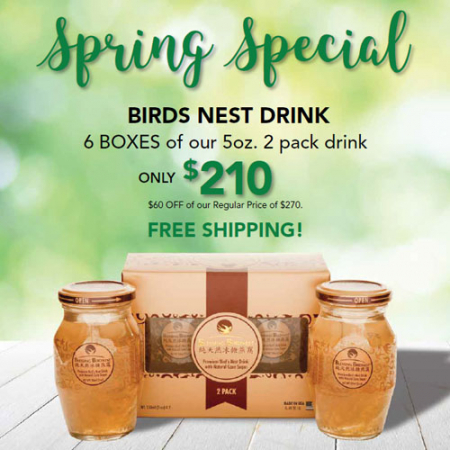 Bird’s Nest Drink 2-pack for only $750. 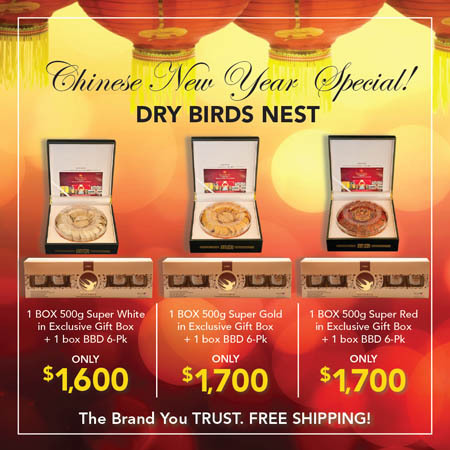 It’s a saving of $145, from the original price of $895.